Factcheck: Are Chinese companies really leading a new global coal power boom? - Unearthed Factcheck: Are Chinese companies really leading a new global coal power boom? Earlier this week the New York Times ran a story loosely based on the Coalexit report by German group Urgewald, which seeks to identify companies most heavily involved in the coal power industry in order to get financiers to divest from them. Based on this the NYT story presented a collection of claims which suggest the world is on the cusp of a new coal power boom, led by overseas investments from Chinese state-owned companies and banks. But though the article focuses on overseas projects, 80% of the plants which make up the data are actually in China itself — and, as a recent Greenpeace report shows, the majority of those planned plants may not go ahead. That’s because – as the report shows – 2016’s coal power overcapacity of 114 GW would jump to 213 GW until 2020 if the capacity target of 1100 GW from the power sector’s 13th Five Year Plan is realised. In fact tackling overcapacity in areas with high water stress could save half a billion cubic meters of water. This statement is correct, but should not be interpreted to mean all these projects are bound to or likely to happen. Many of these planned power plants come from company announcements, not government policy. Broadly speaking, there is a long way from a company announcement to a coal-fired power plant being built, and a lot of projects never make it. For example, since 2007, more than 150 coal-fired power projects have been cancelled in the U.S. while only a handful have moved to construction. Chinese energy companies make up nearly half of the announced projects in the Global Coal Plant Tracker database, but the vast majority of those projects are in China, and are either already under construction or dead in the water because of the massive overcapacity that China has already and the almost complete stop to new approvals. The ones that are under construction will mainly come on stream but because there is no space on the market for more coal-fired generation, they just end up adding to overcapacity, not increasing coal-burning. This is definitely problematic, but not the same thing as building a coal plant somewhere that actually needs more power generation. Furthermore, these under construction plants represent financing and investment decisions made some years ago so clumping them together with planned future projects seems misleading. It’s worth noting that the coal industry has seen its outlook sour much faster than anyone expected. 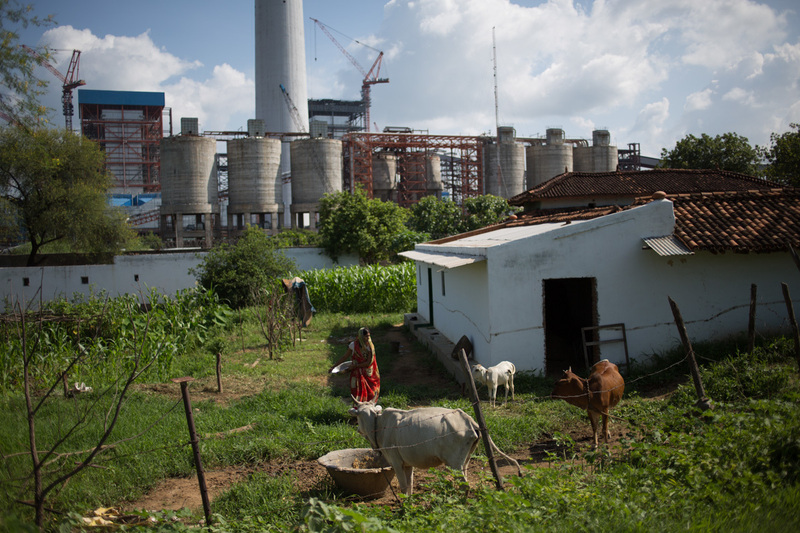 Chinese state-owned companies and banks are building a lot of coal-fired power plants overseas. But the number of projects, even if every single one was realized, still make up less than one year of China’s domestic coal plant additions at its peak. This is not to say that the wave of coal-fired power plants sponsored by Chinese companies is not a problem. It just means there is still time for Chinese policymakers to shift course before they flood the developing world with dirty and projects, and the economics of coal are getting worse by the day.